Welcome to the Companion Website for Challenges of the Developing World, Ninth Edition by Howard Handelman and Rex Brynen. 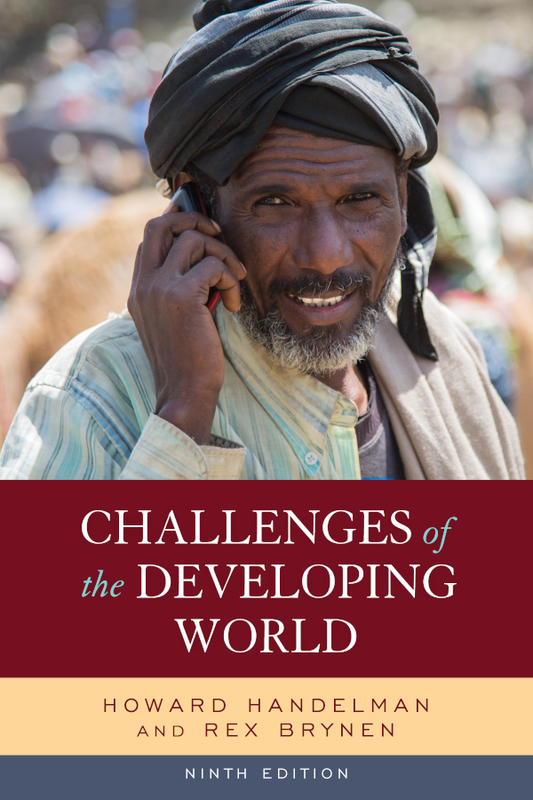 Challenges of the Developing World is a lively, up-to-date, and highly readable introduction to the key dynamics and issues of political, economic and social development in the “developing countries” of Africa, Asia, the Middle East, and Latin America. This open-access Companion Website is designed to reinforce the concepts covered in Challenges of the Developing World, Ninth Edition. Students can review and enhance their understanding of each chapter using the interactive Flashcards and self-graded Quizzes. A test bank of multiple choice, true/false, and essay questions accompanies this text along with Respondus customizable testing software. Instructor ancillaries are password-protected. For access to the teaching materials, please visit Challenges of the Developing World and Sign in if you are a registered user. First-time users should Register then email us at textbooks@rowman.com. Want to see your textbook here? Email us if you would like more information on this book, our teaching and learning resources, or options to save your students money. We’d also love to hear from you if you are interested in writing or reviewing books for Rowman & Littlefield or if you are shopping for books for other courses. We’ll be happy to email or call you back.